“Xe meio un bicèr de dalmato / che l’amor mio…” (better a glass of Dalmato than my love): So begins a traditional Istrian-Venetan song, evidence of southern Dalmatia’s long and renowned winemaking tradition. The region’s wines have been famous since the Adriatic was a crossroads for empires and seafaring republics. In this labyrinth of wind-whipped archipelagos, the Pelješac peninsula has long been the pride and joy of Dalmatian viticulture, its karst slopes plunging into the sea producing the wines that Emperor Franz Joseph served to his guests. Still today, “heroic” viticultural methods are used to cultivate the native grape Plavac Mali, known for full-flavored wines with a high alcohol and tannin content. During the grape harvest, the local families also use Plavac Mali to make an unusual, highly concentrated grape syrup, known as varenik, whose existence was documented during the time of the Republic of Ragusa, or Republic of Dubrovnik (Ragusa in Italian and Latin) in the 16th century. After leaving the freshly pressed grape must in contact with the skins in a cool place, to slow down the natural fermentation process, the juice is filtered and cooked to obtain a thick, sugary liquid, which can be stored for over a year. With aging and sedimentation, the color changes from blood red to a dark caramel. The flavor is very strong and sweet, with a fruity, Marsala flavor with notes of honey. Back when sugar was a luxury for most people, the syrup was given to children and to women to help them recover after childbirth. It makes an excellent condiment for salads and meat, and is considered an essential ingredient in a traditional local dish known as paštičada, a kind of beef stew, and in traditional sweets like mantala. Very few families still produce varenik, and it is impossible to find on the market. But a group of young local winegrowers, confident in the product’s economic and cultural potential for the local community, are seeking to revive its production. They are investing time and resources into increasing production and introducing small innovations to ensure high quality standards without betraying the traditional recipe. The Presidium is working alongside these producers and its local partner Kinookus to draw up a production protocol that will combine tradition and innovation, and to promote varenik in Croatia and internationally. 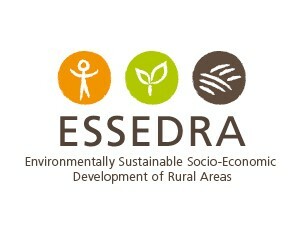 The Presidium has been established as part of the ESSEDRA project, co-funded by the European Union through DG Enlargement and promoted by Slow Food, which has the objective of supporting the process of integrating the Balkans and Turkey into Europe through a strengthening of civil society and its capacity to influence policies and promote sustainable rural development models.